1985 was a great year in music. So many great pop and synth albums made their way into our cassette players and onto our turntables. But some bands that were part of the alternative mix started to crevice their way in between the keys of Tears For Fears keyboards and the spiky-haired anthems sung by Howard Jones. I admit to tracking the hell out of this album. I owned it on cassette and it got played hundreds of times until I finally bought it on CD. This is one of the many albums I love that I track from start to finish and never skip past any of the songs. Not a single filler here. The slow songs mix well with the hard songs. “Rain” is one of my all-time favorite songs from 1985 and I can’t explain how cool it is to be driving with the windows down and having “Hollow Man” cranked to the nine’s. The duo of Ian Astbury and Billy Duffy created a sound that pushed many speakers – both home and mobile – to their edge. Songs like “The Phoenix” brilliantly tore the seams off just about anything the guitar chords hit. As Ian screams “I’M ON FIRE” Billy’s guitar keeps up the pace throughout the five minutes running time. The band went onto bigger charting success with their next album “Electric” which had a more commercial sound to it. But I preferred the rougher, rawer sound and mix that “Love” was composed of. It sounded so good… with such a slightly-less polished edge to each of the ten songs. And for an album that’s 28 years old, that says a lot for it’s staying power to be played so often then and to be so listenable now. Love is one of my very favorite albums from the 1980’s. And when I think about music in that decade, the very first song to pop into my head is She Sells Sanctuary. Always. Ian Astbury was/is a bit a of a poser. But damn…the Cult was a lot of fun. Ian’s activities since “Sonic Temple” album have been mixed, including his stint as a Jim Morrison stand-in. 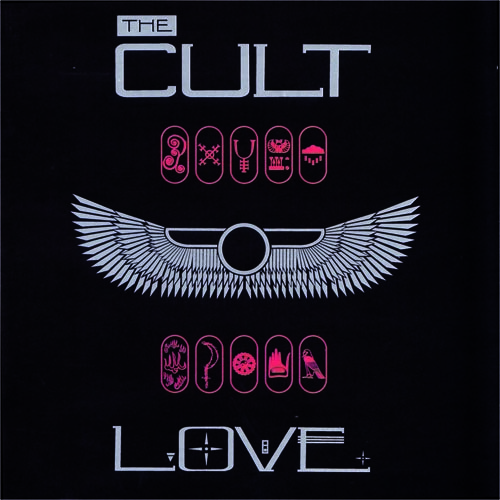 But when he’s focused on The Cult, it creates some great music. I wholeheartedly agree with everything you wrote. Not a bad song on the album. I haven’t listened to it in ages. I think I’ll fix that. When I found it in my iTunes folder, I re-ripped it into 256 and put it back into my iTunes library.